This site is for the friends and family of Mark, Sharon, Mary and Rachel so they can learn the latest news of our small but ever growing family. 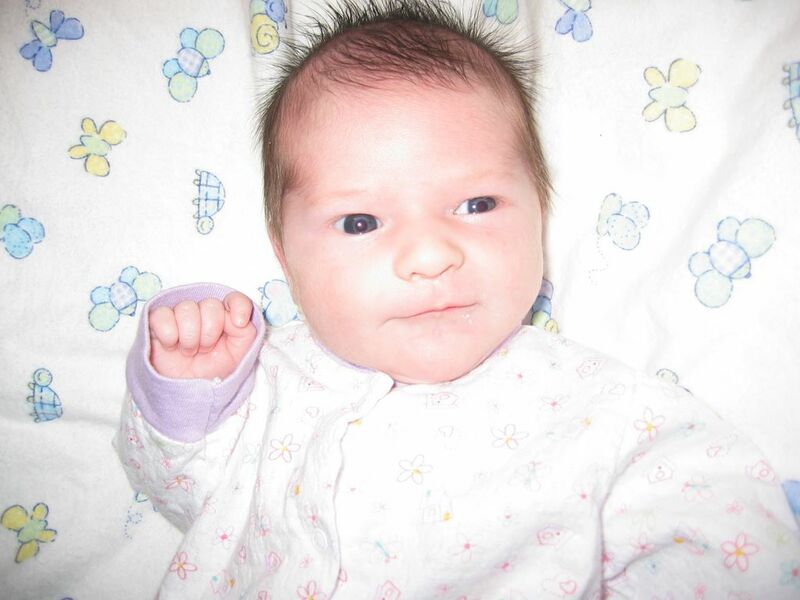 On February 2, 2007 at 12:37 AM Rachel Nicole Haugan was born, weighing 6 pounds 11 ounces and measuring 19.5 inches. For pictures go here. The little angel at the top of this screen is our daughter, Mary Irene Haugan. She was born on December 4, 2003 at Paradise Valley Hospital weighing in at 7 pounds 14 ounces. Named Mary in honor of one of Sharon's Grandmothers and Irene for both Mark's Grandmother and Mary's only Aunt, Mark's sister Karen Irene Haugan. She is a beautiful baby. No one can leave this site without first checking out her section in the photo album. Sharon had been working as a substitute teacher 2 days a week in the Gilbert School District. She has not gone back this year to take time for Mary and get ready for the arrival of Rachel. She has not worked full time since Mary was born. For child care Mary's grandmothers alternate coming down every other week, spending both Wednesday and Thursday night in our spare bedroom, now officially called "The Grandma Room." Mark continues to work for Wells Fargo Bank and has recently been promoted to the Finance Manager for the Cost Recovery and Analysis group. He is now responsible for the recovery of the entire $1.5 billion Technology Infrastructure Group budget. He also won an annual service award that resulted in a trip to Cancun for both Mark and Sharon. For pictures of the trip check out them out here. For a bit of our recent history, check out our past Christmas letters. For pictures of Mary, Rachel and our family and friends, and the vactions we have taken. Just a few links to sites we find interesting.